Young people should follow the career path that’s right for them. University is a great option for some school leavers. But vocational training is an equally valid choice, especially during a time of rampant skills shortages and very low unemployment, says the ITF. “The data is backing our view that young people need to be getting more encouragement from home and school to consider earn and learn career options. Industry Training is the best way to respond to New Zealand’s skills shortages. It deserves more financial support from Government,” says Josh Williams, Industry Training Federation CEO. The research team at Scarlatti tracked the average yearly income, as reported through IRD tax records, of a cohort of 19-year olds who left school between 2003 and 2007 right up until 2016, when they turned 32. Scarlatti drilled down into the earnings of those who completed degrees including Law, Medicine and the Arts; and those that learned on-the-job with Industry Training Organisations including BCITO, Competenz, Connexis, The Skills Organisation and MITO. This revealed that, by the age of 30, a Mechanical Engineer earns $185,998 more than an Accountant; a Plumber earns $21,299 more than a Medical Graduate; and a flooring installer earns $116,118 more than a Lawyer. This comes on top of last year’s Industry Training Federation commissioned BERL research into the lifetime financial position of apprentices and university graduates. 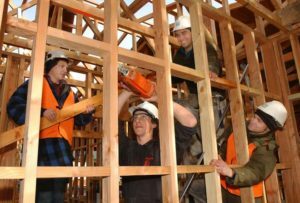 “BERL found “earning and learning” helps apprentices avoid debt, earn earlier, contribute to KiwiSaver earlier, buy a home earlier and pay off their mortgage earlier,” says Williams. “Young people should follow the career path that’s right for them. University is a great option for some school leavers. But vocational training is an equally valid choice, especially during a time of rampant skills shortages and very low unemployment. Last year, over half (55%) of new industry trainees and apprentices already had a tertiary qualification, 24% already had degrees,” says Williams. All New Zealand’s 145,000 trainees and apprentices have been given the chance to “earn and learn” by the 25,000 willing employers who hired them. “The Prime Minister, Jacinda Ardern, has called apprenticeships a ‘no-brainer’. We agree! Work-based education and training, where employers and ITOs work together to develop skills for the existing workforce, is the best way to boost productivity and respond to changing industry demands,” says Williams.